As the calendar turns to late November, there are only a few things to be thankful for in this 100th season of Packers football. This season has not gone according to plan for either the front office or the fans. With six games remaining, everything is still right in front of them. The team just has to win. For this team, that is easier said than done. Of the six remaining games, four of them are against teams with losing records. The other two are against division rivals, the Minnesota Vikings and Chicago Bears. It’s possible that Aaron Rodgers could catch fire and carry this team to six straight wins. For that to happen, it appears that he will need the help of those around him. There have been too many breakdowns in all facets of the game for one guy to simply carry the team. Even though this has been a down year, there are some positives that the organization and fans can be thankful for. Packers nation can be thankful a change was made at the top to replace Ted Thompson. 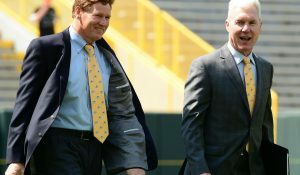 In January, Mark Murphy decided to move Ted Thompson into an advisory role and search for a new General Manager. As we know, he landed on internal candidate Brian Gutekunst. 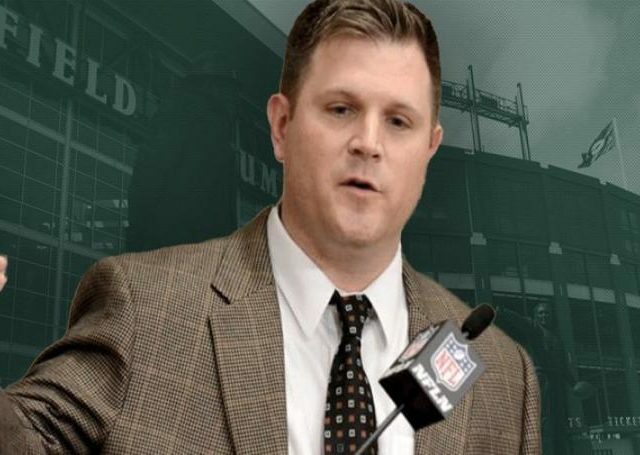 Even though Murphy retained the power to hire and fire the head coach for himself, Gutekunst as started laying the foundation for returning to a Super Bowl Caliber team. In his first draft, it appears he may have hit on a star cornerback in Jaire Alexander. He has added young talented wider receivers in Marquez Valdes-Scantling, Equanimeous St. Brown and J’Mon Moore. He has been in on free agent discussions. He didn’t land Khalil Mack, but he at least was in the race. Something that his predecessor never did. Although, he did sign lesser free agents in Jimmy Graham, Tramon Williams, and Mercedes Lewis. 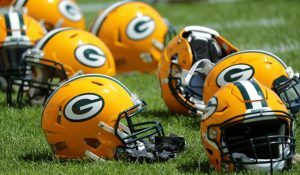 With the Packers paying the price for Ted Thompson’s draft failures at the end of his run, Gutekunst has the challenge of adding talent quickly during Rodgers’ window. So far Gutekunst seems to be what the Packers front office needed. The team has a rising star at running back in Aaron Jones. They finally have a running back who can change the game. A three down back who can put the offense on his back when needed and carry them. When Jones gets the chance to carry the ball, a plus play usually happens. The issue is his coach doesn’t consistently give his young back the football. The offense also goes away from running the ball during the course of the game. They will be successful running with Jones on two straight drives and then don’t utilize him on the next several drives and the offense goes nowhere. But Jones is a talented running back, something the Packers have not had in a couple of years. In a season filled with frustration and offensive struggles, Aaron Jones has emerged as a playmaker for years to come. Mike McCarthy finally makes a change at defensive coordinator. After years of defensive meltdowns and fans calling for a change at defensive coordinator, Mike McCarthy finally delivered by hiring Mike Pettine. When you see Mike Pettine, you see defense. He has made an impression from the start, even with all-world quarterback Aaron Rodgers. Mike Pettine is a tough-nosed guy, whose resting face looks angry. Pettine is exactly what this defense needed after years of Dom Capers. He has brought a toughness to this defense that they did not have previously. They are not so predictable on defense, and he has a more varied scheme that opposing offenses do not know where the blitz is going. He has a young and talented secondary that is only going to get better. The defense has carried the offense more times than not this season and is keeping the offense in football games. Which is what you want when your offense is lead by Aaron Rodgers. Even during a disappointing season, there are things to be thankful for. The signs are there for this team to be better next year. 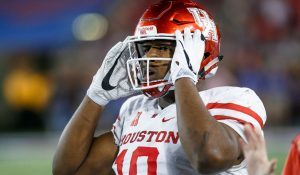 There are talented youthful playmakers on both sides of the football, a General Manager who is willing to improve the team through all avenues, and a defensive coordinator who is actually installing a stronger defensive mindset in his players. There are reasons for hope that this team can get back to playing championship level football sooner rather than later. This entry was posted in Anthony Haag, Packers 2018-2019 Season and tagged 2018 Green Bay Packers, 2018 Green Bay Packers Defense, Aaron Jones, Aaron Rodgers, Brian Gutekunst, Mike Pettine. Bookmark the permalink. Also be thankful for a season that will get MM FIRED. 13 years is a long tenure w 1 team. With Pettine as DC, let’s get a new coach like McDaniels from Pats. How much $$ would it cost to lure Sean McVay from the Rams ? 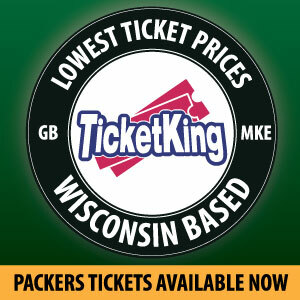 The Packers organization really, really needs to move on from McCarthy, Zook, Campen and Moss. That is, unless mediocrity is acceptable in Green Bay these days.